While rumors suggested that there was a slight chance Apple might unveil the iWatch at WWDC but it did not happen. This year’s WWDC was all about new software from Apple. Apple unveiled iOS 8 at the conference, which comes with HealthKit and other health tracking features. Now that the conference is over, we are back to rumors on the Apple iWatch. The report comes from Japanese publication, Nikkei and according to the latest reports, Apple is all set to launch the iWatch in October. 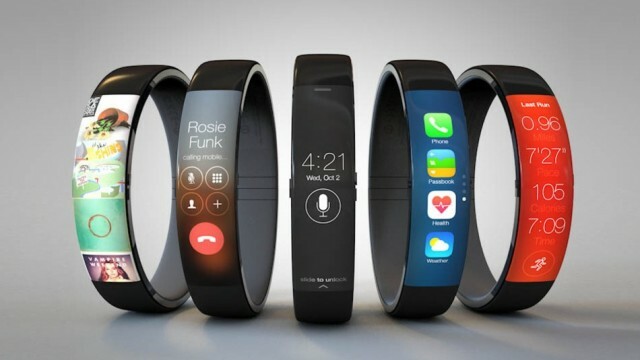 The iWatch is also said to be coming with a curved OLED display. The report also reaffirms what we’ve heard all this while, there’ll be various health related sensors to track your health. The iWatch will monitor health related data including sleep activity, calories consumed, blood glucose and blood oxygen levels. Along with that, the iWatch will also work like the usual smartwatches by bringing you notifications. The report also says that Apple is working with Nike on the iWatch, which seems plausible considering Nike recently laid off its Fuelband hardware department. We also know that the Apple smartwatch will be powered by a lighter iOS 8 build. With iOS 8 bringing HealthKit and Health, the iWatch should work in sync with them. The source has been pretty spot in the past, when it comes to Apple launch dates, so we might really see an iWatch getting unveiled in October. A previous report had also suggested an October launch for the iWatch. We can expect the smartwatch to be priced at around $200-20 as per previous rumors but with Apple, we are always ready to be surprised.